ONE OWNER! NO ACCIDENTS! LEATHER! SUNROOF! ONE OWNER!! NO ACCIDENTS!! 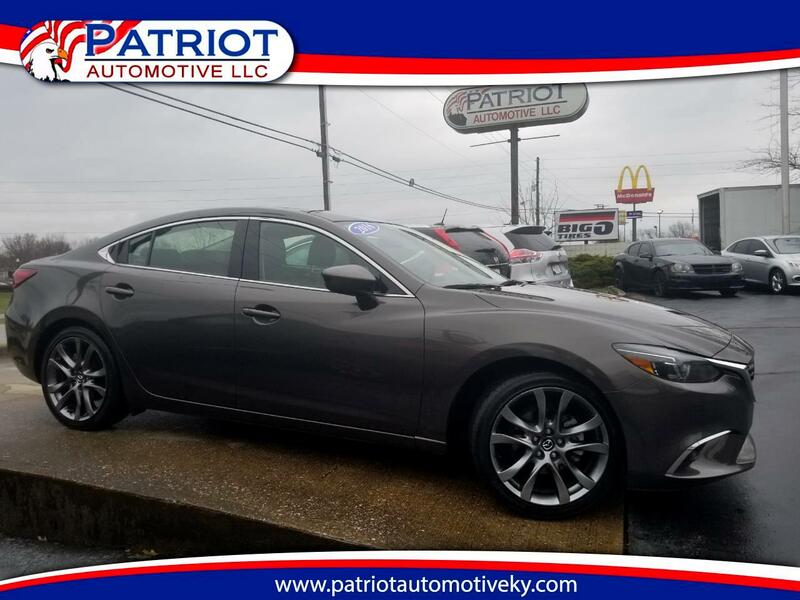 2016 Mazda6 Grand Touring. Leather Seats, Power Seats, Heated Seats, Power Windows, Power Locks, & Power Mirrors. It Is Equipped With A Bose AM/FM/CD Player, Satellite Radio, Aux Audio Jacks, aha, Pandora, Stitcher, Hands Free Wireless, Bluetooth, Blind Spot Monitoring, Lane Departure, SunRoof, Cruise Control, & Rear Defrost. THIS GRAND TOURING MAZDA DRIVES, RIDES, & RUNS GREAT!! PRICED AT ONLY $17976!! !